Put some GREEN into your digital printing. As Sydneys most experienced printers of Digital Printing, we understand the competing demands placed on producing high quality reports using the least amount of energy & resources. This article “Why green business is good business” highlights the importance of a green business, both for environmental and business advantages, and the position we have taken here at Allied Graphics. Sustainable use and management of our land and its resources are key challenges facing both individuals and businesses alike. A sensitivity to environmental issues is a growing priority for everybody, nobody can afford to ignore the environmental impact of business, especially when efficient environmental management can have a positive effect. As more and more customers demand that their business partners prove they are sustainable, green business is becoming good business. Therefore it is important for companies to be sure that they are working with supplier partners who also support and maintain sustainability policies and procedures. When dealing with Allied Graphics you can take assurance in the fact that we have been practitioners of these processes for many years. We work closely with our clients when making decisions regarding the competing demands on producing high quality reports, using the least amount of energy and resources. After much research and investigation we have selected a range of paper stocks for use that are environmentally friendly. Our research includes the source of the paper, the pulping process, and the amount of pre and post consumer recycled content. These stocks such as Environment and Monza Recycled, have been tested to ensure that the production quality level we demand is maintained. Of great interest to our clients is our environmental calculator. 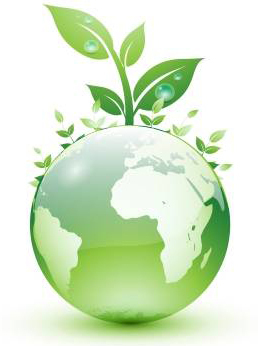 With each of our quotes we can show you exactly what the environmental savings are for that projects paper choices. We tell you how many trees have been preserved for the future, how much waterborne waste was not created, waterwaste flow saved, greenhouse gases prevented and BTU’s not consumed. All of which can be shown within your report. Allied Graphics is also a recycling collection point for toner cartridges for Wildlife Warriors and Planet Ark and we have, for many years recycled all our toners, drums and machinery parts so that none goes into landfill. We have sourced a completely biodegradable bubble wrap, called “envirobubble” and all our jobs are delivered in envirobags, our own reuseable bags. Sustainability and an environmentally responsible policy can be achieved, and without compromising quality and production values when working with partners with a similar philosophy and approach, such as Allied Graphics. Gloss ….. It’s the New Black! Print like fashion has trends. over the last few years we have seen a lot of use of white space and printing onto very subtle stocks such as silks and satins, celloglaze & laminate finishes have also followed this trend ….. until now!!!! There has been a definite increase in the amount of clients requesting a gloss finish to their projects, sometimes just printing to a gloss stock but many are using special finishes such as gloss celloglaze & laminate to really lift the look and feel. Gloss paper has a mirror like finish producing colourful images and crisp text. Perfect for brochures,flyers, report covers and special presentations. Gloss laminate & celloglaze gives a high gloss sheen to enhance and protect your project. Giving a smooth and durable finish. Perfect for any project that you want to give that wow factor to. These special finishes can be added at the end of your job. Some of our recent projects have included matt celloglazing covers and gloss foiling of logos or key words to make the printing stand out from the crowd. For more information or advice please contact Linda D’Arcy on 9206 6000 or 0424 228 412.